Here at Byrdie, we're all about making things easier. From narrowing down your shopping selections to streamlining your routines, we've been working on a project that would do all that and more. Enter the Byrdie Bag. 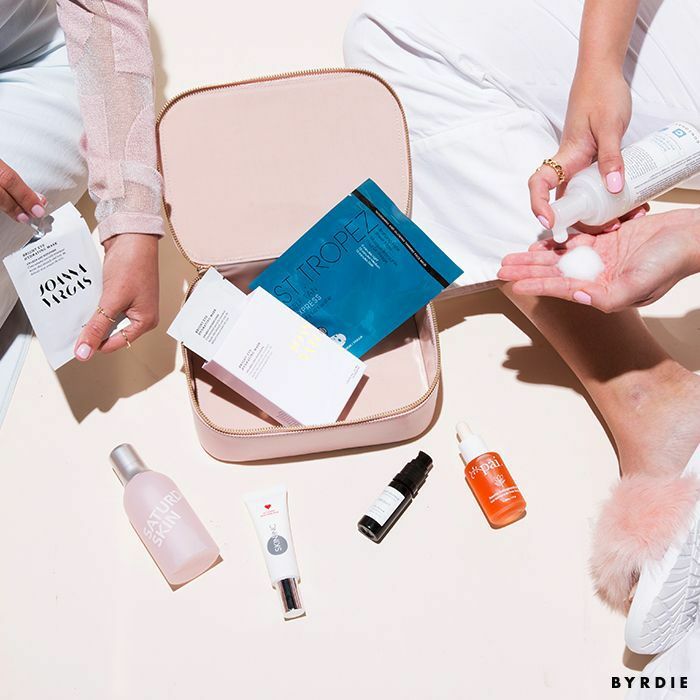 A cosmetics case filled with the seven products (handpicked by us, your favorite beauty editors) we count as our must-haves for the season. Some are tried-and-true, some are new discoveries, and all of them are from our favorite indie brands. Oh, and did we mention they're neatly packaged in a limited-edition, leather (that's fine nappa leather, to be precise) bag from Pop & Suki? The Byrdie Bag ($115) is valued at $421, and we only made a few, so check it out now. And while you're at it, don't miss our Hair & Makeup #ByrdieBag. Find all the details on the products and more information on our limited-edition summer Byrdie Bag here!